This little end table is an exercise in visual and literal balance. 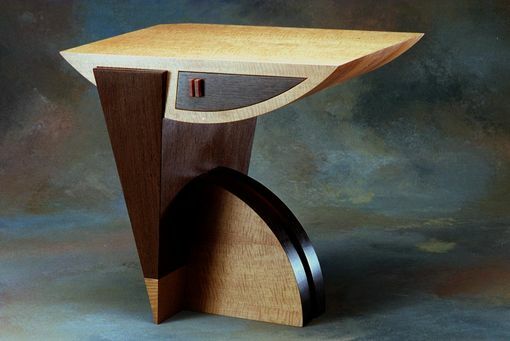 The top, which harbors a small drawer, captures the wenge wedge with a large dovetail. Meanwhile, the round supports are dovetailed to the wedge, and protect the table from imminent collapse.